9:30 Assemble at Power Park west of Veteran Memorial Bridge for any parade participants not riding on VFW float. 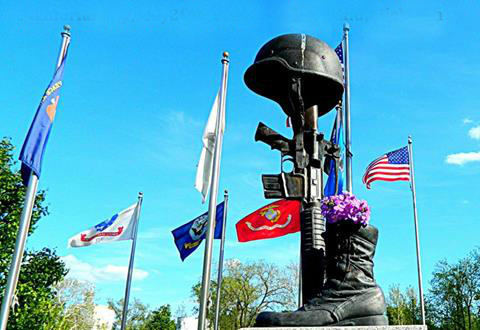 VFW float riders will assemble between Veteran Memorial Bridge & Kent St.
10am activities for the community to join in with respect and honor for our United States Service Persons. Parade begins at Veterans Memorial Bridge and progresses east up Bridge St.
Pot Luck Luncheon at VFW following Parade & Services.